I was recently asked this question and I am sharing the answer with the group in hopes that somebody will find it helpful. Question: "I am a teacher at a High School in Arizona, we recently built a FAB LAB (digital fabrication facility) and are interested in starting a medical imaging class/club. We have several medical professionals, Dentist, Orthopedic Surgeon, General Practice, Physical Therapist and Medical researchers, who are interested in volunteering in to help with this program. Our goal is twofold, one to increase student interest in pursuing medical professions and two to give students an avenue for employment in the emerging 3D medical imaging field. Ultimately our goal would be to have a Career and Technical Education (CTE) program where students could graduate with some sort of certificate indicating competency. My question is, are there recommended training/certification programs that we need to consider and implement? What are your recommendations for us moving forward with this program. Any information you could provide would be appreciated." Answer: " Hello ______ Just to clarify, are you talking about medical 3D Printing? If so, there is currently no such certification program in this technology. 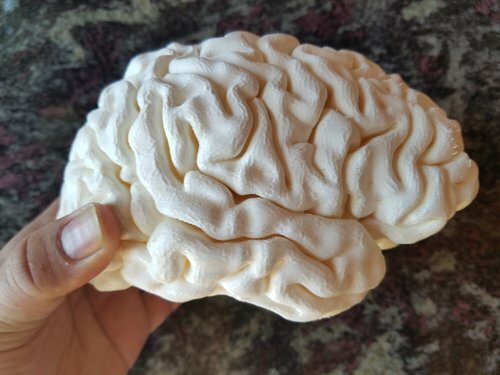 One basic requirement is an understanding of medical imaging technologies, so I would say a bare minimum to do medical 3D printing would be a certification as a CT or MRI technologist, which have established training pathways for post-secondary education. Here is a link. https://study.com/ct_technician.html You would then have to obtain experience with 3D printing, of which there is no formal pathway. Of course, you can obtain greater imaging expertise as a radiologist, which is 4 years of med school and 6 of residency and fellowship after college. Again, there is still no formal pathway for the actual 3D printing component of this. Hope this helps." I recently returned from the 2016 Society of Interventional Radiology conference in Vancouver. There was a lot of discussion about 3D printing. One of the novel applications was use of embodi3d 3D printed vascular models to train physicians on advanced techniques in IVC filter retrieval. I was in charge of providing 3D printing support for the workshop, which was run by Will Kuo from Stanford. Millions on IVC filters are implanted yearly to protect patients from potentially fatal pulmonary embolism. When the risk has passed however, they need to be removed, and that can be difficult if they have been in for a while and have scarred into place. Innovative retrieval techniques have been developed, but they are difficult to practice. By using 3D printed vascular replicas, these techniques can be taught en masse on a benchtop, without having to put a real patient at risk and without having to use x-ray radiation or maintain sterility. We taught 75 physicians these advanced techniques in 1.5 hours and they had the opportunity to try the techniques out with real equipment in anatomically accurate vascular replicas. It was a great experience!